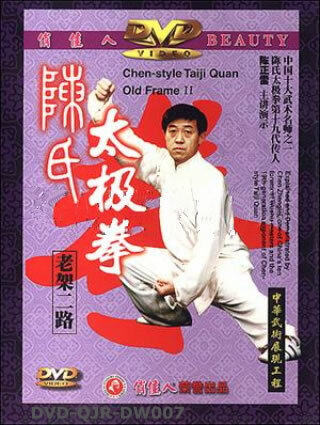 Chen-style Taiji Quan Old Frame II also called Cannon Boxing or Pao Chui, stresses hardness with softness hiding in. While practicing, you should complete them mainly with force and foot hitting the ground to release energy, also in quick succession such movements as stamping, applying force, dodging away or jumping up. Your play should be full of noble aspiration and power. Exercise Requirement: Let your hand lead your body, keep your footsteps flexible and steady, carry yourself with confidence. Take trample, split, elbow and push as the main movements with ward off, deflect, shove and press as subsidiary. You should play quickly, hard and fiercely.